After quite a bit of work I finally finished up my first custom NES. 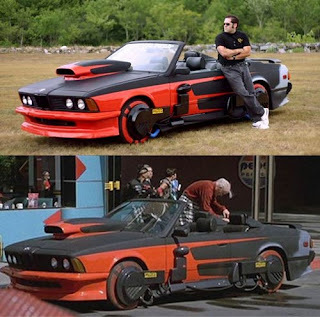 This was a request by Rush Coil who based the idea off of Griff Tannen's BMW. 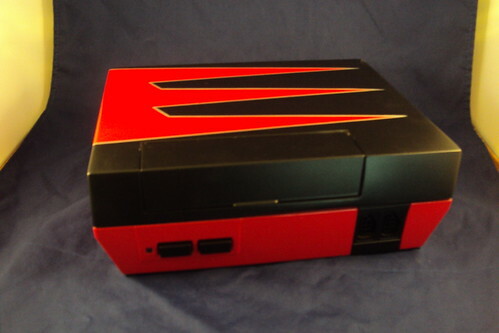 So the plan was to remove all the vents from the top of the shell, mold in the black plastic pieces on the front and back, and copy the design with gloss red and flat black paints. Then to stripe the line between the colors in silver. 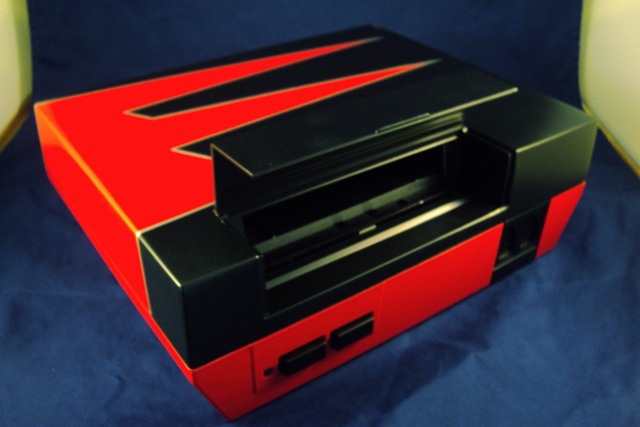 It took quite a while because the body filler (plio-grip for problem plastics) I was using just didn't want to take to the plastic of the NES. Eventually I grabbed the gallon can of Duraglass at the shop and used it. Duraglass has never failed to work on anything for me. Ever. And low and behold it took to the NES like whip cream takes to strawberries. This is the finished product. You can see the full gallery of the project here. "loads? what were playing, we dont need loads"